What is your favorite book you’ve written, which one was the most fun to write? Probably the most fun to write is the book that I’m writing right now, and I’m almost at the very end of it which is why it’s fun. But beyond that, my favorite, funnest trip was Grasshopper Jungle. What is your favorite of your book covers? I’ve been really lucky, I’ve gotten the greatest book covers ever. 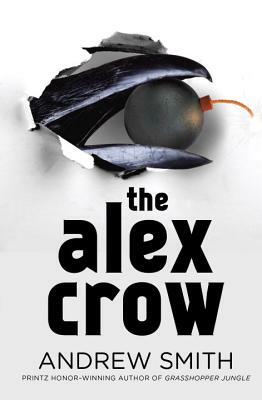 I really have to say that I loved the cover of 100 Sideways Miles, and I especially love the cover of The Alex Crow, which just came out last March. Was it more fun writing the sequel to Winger, or Winger itself? I’ll tell you, normally, I think that writing sequels is really hard, but writing the sequel to Winger, even though I took so long, because I wrote Winger about 10 years ago, and then when I came back, when I had the opportunity, it was just so fun to get back inside the heads of the characters. It was so easy to write, it just flowed. I had a great time writing Standoff, and it also felt like I had the opportunity to give something to the readers that the readers really needed. How do you write such weird books? It probably all has something to do with sleep deprivation and anxiety attacks. I funnel all of that into my writing. What was the most challenging book you’ve written? 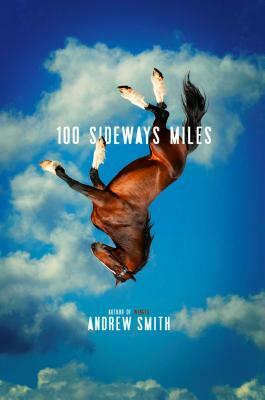 Oh, by far, I think the hardest book that I ever wrote is also one of my shortest, 100 Sideways Miles. That came out in 2014, it was a semi-finalist for the National Book Award, and I just had such a hard time, because it’s about a boy and his father and their relationship as the boy was getting ready to go off to college and that’s exactly where I was with my son who was going away to college. I was in a really difficult place, and I hated the book while I was writing it, and I hated myself for writing it, and then after it came out, I couldn’t understand all the praise that it got and all the people that loved the book. Since then, I think that I’ve changed my mind about the book, and I’ve kind of gotten more comfortable about that weird place I was in. What is a good book-to-movie adaptation you’ve seen recently? I’ll tell you what, my book Grasshopper Jungle is being adapted. It’s going to be directed by Edgar Wright, who directed Scott Pilgrim, and Shaun of the Dead, and Hot Fudge, and he’s probably my favorite film director of all time. I’ll also say that I just last week got the script, that was an adaptation that was written by Scott Rosenberg, who’s a brilliant screenwriter. He wrote Beautiful Girls, and High Fidelity, and a bunch of other brilliant films, and I think Scott was a little nervous about my reading the script, but I read it last weekend and I think it’s absolutely perfect. So, I’m gonna answer your question with that; the adaptation of Grasshopper Jungle that Scott Rosenberg wrote is the best adaptation I’ve seen yet. Is there any release date for the film? Edgar’s working on a film right now called Baby Driver, and this is coming up for him, so his estimation is that the film would actually be out in 2019. I know that sounds like a long time, but in movie and book time that’s not very long at all. What is advice you’d give to aspiring writers? My advice to aspiring writers always includes something like: you should disconnect from technology, take your earbuds out of your ears, take your face off of the screen of your smartphone, get off the internet and get out into the real world and bump into real life. Those experiences are what become, really, the creative fuel for actual genuine, honest, valuable writing. And while you’re doing that, read the very best stuff that you can. If you pick up a book, and it’s not very good, put it down! There are more books that are published, that are written, than you’ll ever have enough time to read in your lifetime, and so, you don’t want to waste your time one sloppy ones. Thank you Andrew Smith for the opportunity to interview you! ← A Chit-Chat With Author Rick Yancey!